At one point in this novel, Sherlock Holmes and Dr. Watson attend a shooting competition. Lord Arthur Seville is the contest's announcer, and Lady Windermere and the Duchess of Paisley are also in the audience. Lord Arthur Seville (or Savile), Lady Windermere, and the Duchess of Paisley are from Oscar Wilde's story "Lord Arthur Savile's Crime." This Lady Windermere may be the same one seen in Wilde's play Lady Windermere's Fan. Watson says of financier Burton Hananish, "With a treasure like Monte Cristo's at his fingertips, he might well have pictured himself as the second coming of Moriarty." Watson's comment could be interpreted as a reference to the real Count of Monte Cristo. 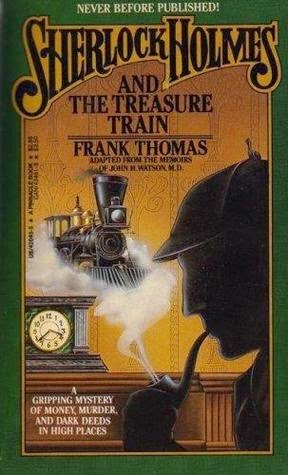 This novel takes place after Thomas' Sherlock Holmes and the Sacred Sword (which Win placed in 1895 in Vol. 1) and before Otto von Bismarck's death (1898.) I have chosen 1896 as the year.